Meet at 7pm at Fleet Station pay & display car park next to the reserve. Join local bat expert Paul Hope and Ranger Joanna Lawrence on an evening bat walk to find out more about bats and which ones are using the pond after dark. If you have a bat detector please bring it with you, however, some will be provided. A torch may also be useful if you have one. Duration: 1.5 hours. All abilities welcome. For a write-up of a previous bat walk, please see here. 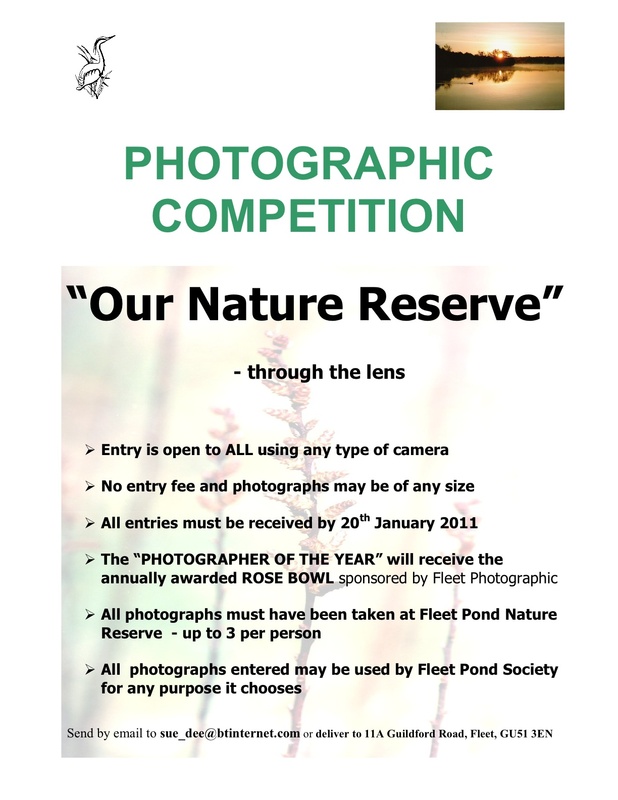 For the results of the Fleet Pond Society Photographic Competition for 2009, please see here. 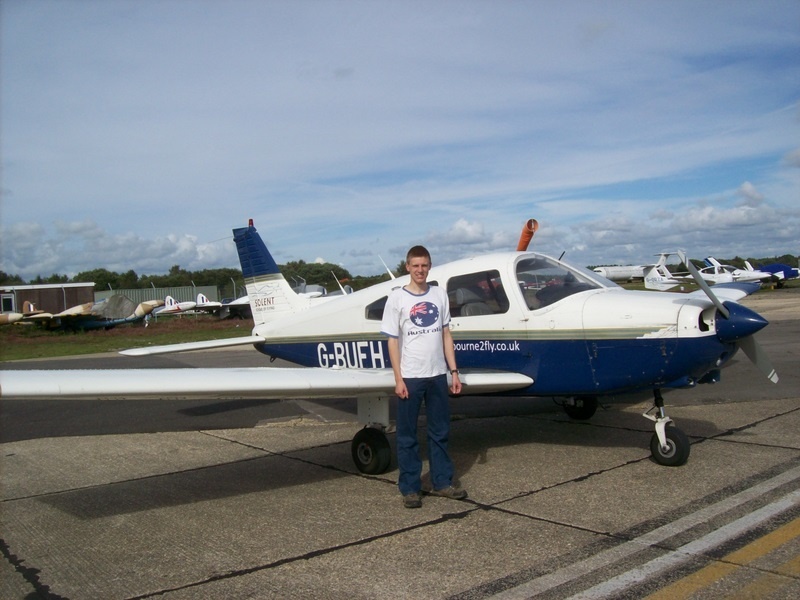 Fleet Young Person Of The Year And Aircraft Flight! I just wanted to thank Colin Gray, Chairman of Fleet Pond Society, once again for nominating me as Fleet Young Person of the Year for 2009. 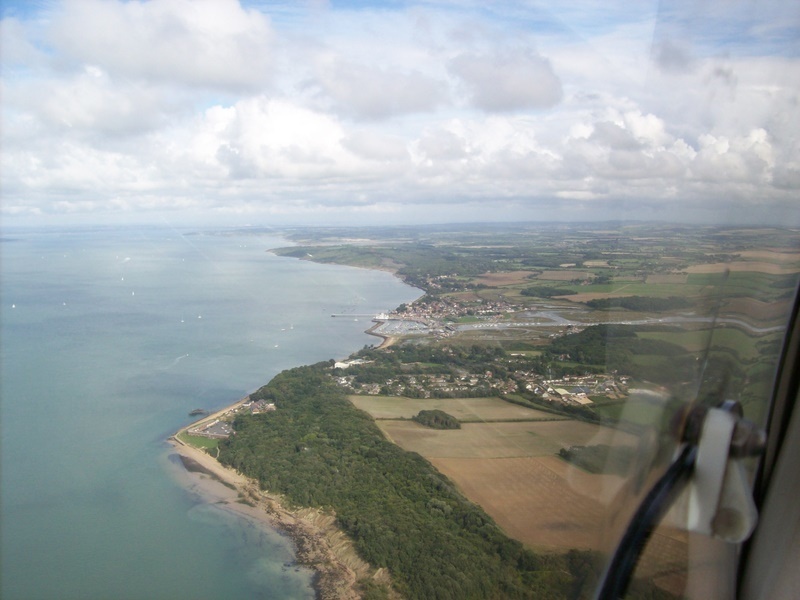 I used the Outdoor Adventure voucher to take a light aircraft flight. Originally I was going to do it in June, but there was bad weather on each day that it was arranged for, and so I did it today (7 September 2010) instead. I flew around Christchurch in Dorset and a couple of photos are attached. I’d also like to thank the Fleet Festivities Partnership for organising the award, and for Hart District Council Community and Partnerships, and Hart Youth Partnership for fundng the scheme – it’s much appreciated. 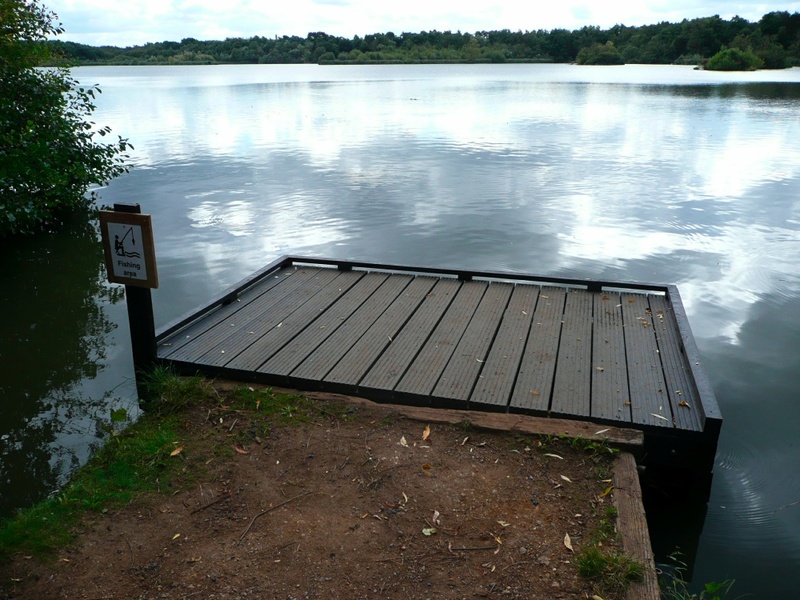 Hart District Councils Countryside Service has recently purchased 3 new fishing jetties for Fleet Pond. These have replaced 2 of the small old jetties on the northern side of the Pond which have deteriorated over the years. 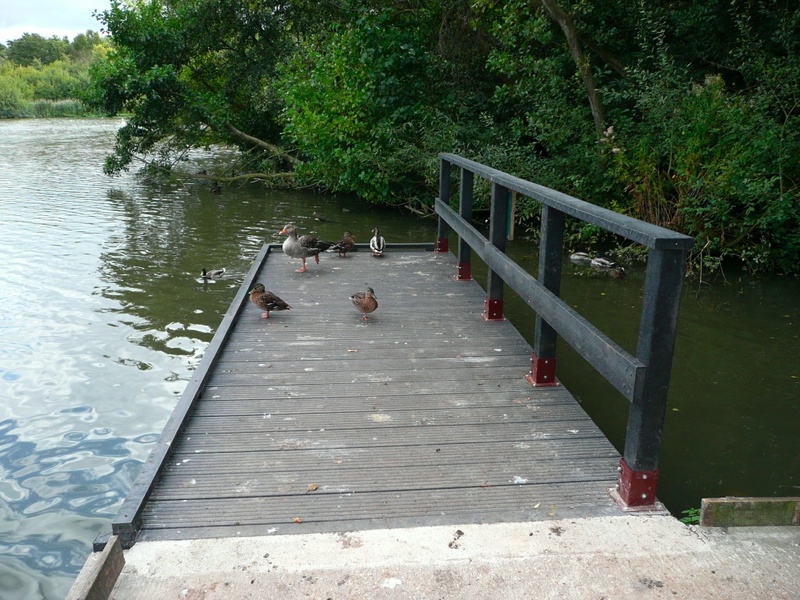 The third has replaced the larger jetty at Chestnut Grove. They were installed by local contractors JDB, and are made from recycled plastic which lasts much longer than wood/metal, and is also vandal proof. There is also the small jetty next to Carnival Bridge which will be replaced in the not too distant future with the same materials. Products made from recycled plastics have become widely available over the last few years, with many products including benches, boardwalks, signs and fences being used widely on countryside sites. 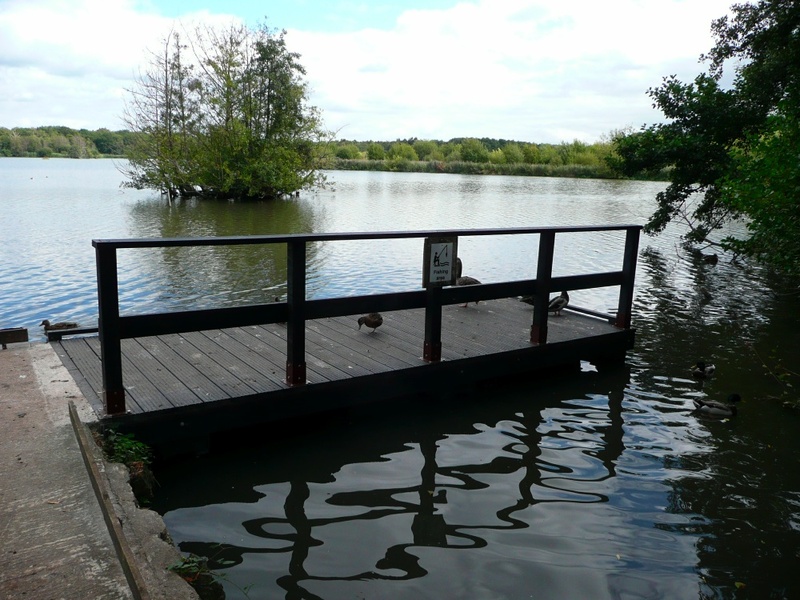 The jetties are used by many people at Fleet Pond; fishermen, children feeding ducks, birdwatchers, and people who just like to stop and admire to views of Hampshire’s largest freshwater lake. This event will be the first one for the 2010/11 period – the schedule up to the end of 2010 is available here which also contains meeting and contact details. We’re a very friendly bunch and we’re always keen to receive new volunteers, including students on the Duke of Edinburgh and Trident schemes! Examples of previous volunteer events can be found by using the search facility on the top rhs of this blog. Volunteers will be very welcome to join us at the following tasks. We meet at the Countryside Workshop, Old Pump House Close (next to 65 Kenilworth Road) at 9.00 a.m. for a 9.15 start every second Sunday (except November which is the first Sunday). 12 Sep 10 Fugelmere Marsh Remove alder and sallow scrub. Remove material from site or burn on site. 10 Oct 10 Fugelmere Marsh Remove alder and sallow scrub. Remove material from site or burn on site. 7 Nov 10 Gelvert Marsh Remove alder and sallow scrub. Remove material from site or burn on site. 12 Dec 10 Gelvert Marsh Remove alder and sallow scrub. Remove material from site or burn on site. These two marshes are in urgent need of rescue from scrub, hence our concentration this season. Volunteers will need old clothing, waterproof if rain is expected, protective gloves and wellington boots. We have a supply of gloves and boots if you do not own these. Conditions are wet and muddy. Hazards include deep muddy holes to trap unwary feet, stumps and bramble runners hiding in grass and very sharp tools. In a ceremony in the Hart Centre on Saturday 4th September, the winners of the Fleet Pond Society Christmas Card competition were presented with certificates and copies of their cards by Society Chairman Colin Gray. The five winners (pictured above) were (left to right) Louise Coughlin, Auli McCall, Michelle Salter, Angela Whitby and Natalie Elliott. 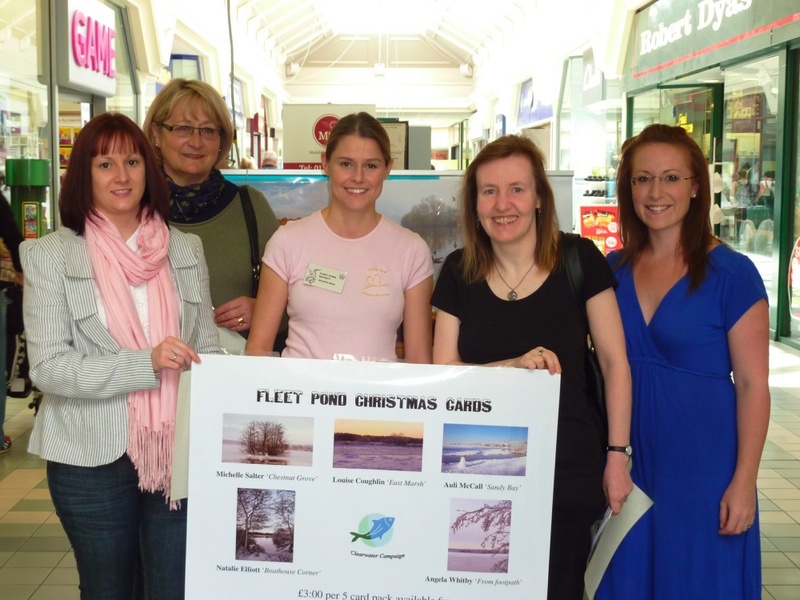 All monies raised through the competition and the sale of the cards is going towards the Fleet Pond Clearwater Campaign. The winning photographs can be seen here. You are currently browsing the Fleet Pond Blog blog archives for September, 2010.